The Mobupps agency cooperates with dozens of major partners. Every few months we draw up a report of the effectiveness of such cooperation and share them with readers. 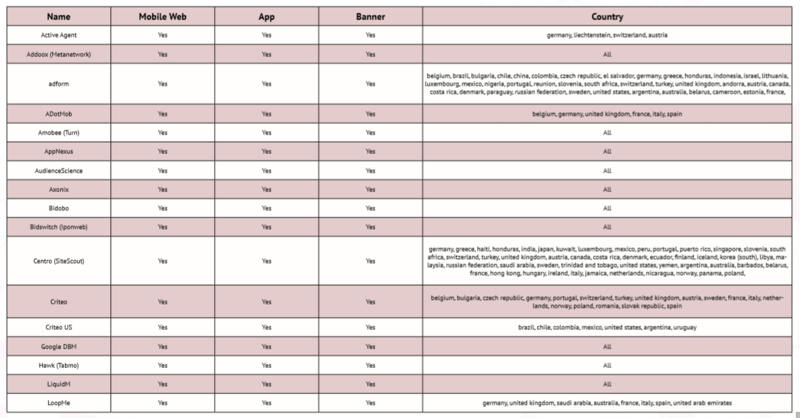 In today’s report, the case of our work with various types of applications, DSP-platforms for different GEO and other insights of monetization. 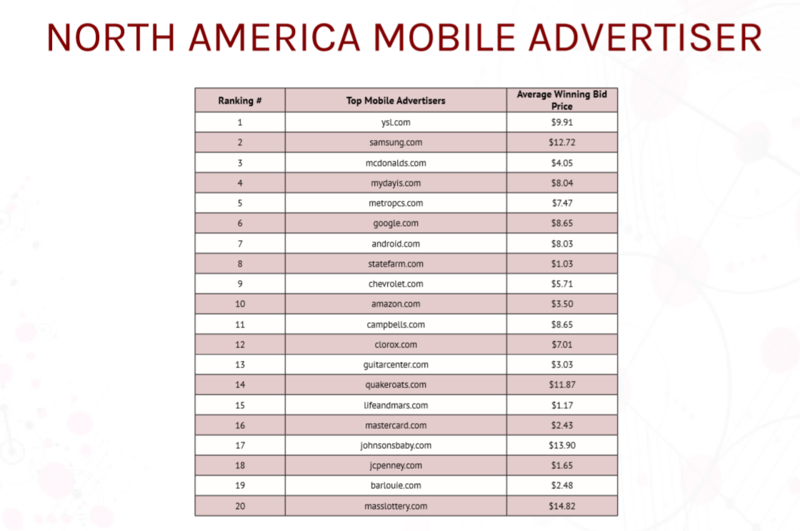 Let’s start with Top Mobile Advertisers and their Average Winning Bid Price. In our spreadsheet they are conveniently divided by rank. In this section, we tried to show in detail the programmatic demand insights. We made up top DSP’s connected to Mobupps. It’s more than 100 buyers globally. 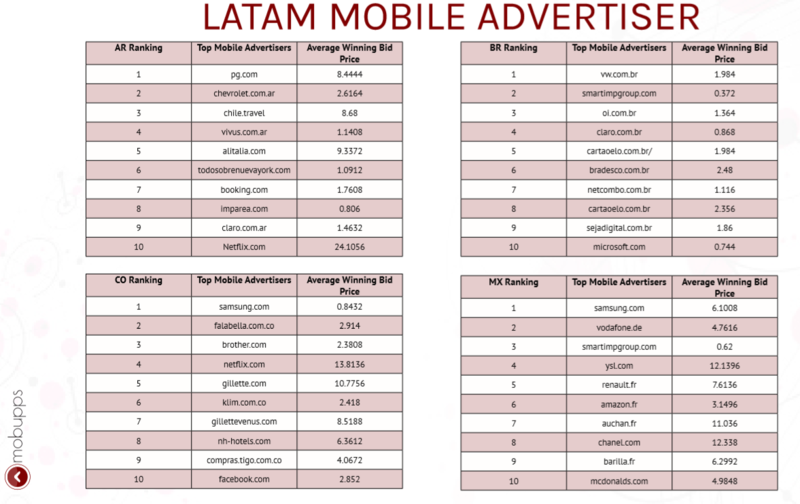 We would like to share case study of our success monetization solution of branding and performance ads for mobile apps. This monetization case show how we work transparent with our partners and utilize performance and banding campaigns to reach best eCPM and fill rates for our publishers. Also we would like to share the high level of advertisement Mobupps run on the brain side. This case is about an application from the category «Cleaner». We could increase the total revenue by 10000% within 7 days. 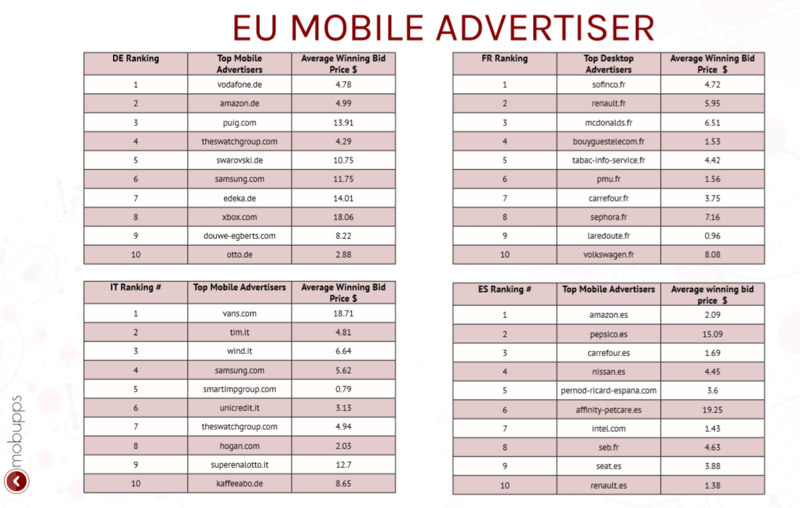 Interesting fact: Among different ads sizes, 300 * 250 got the most impression, earned the most revenue. Most demands came from big brands like real-estate, healthy, life, vehicles, etc. 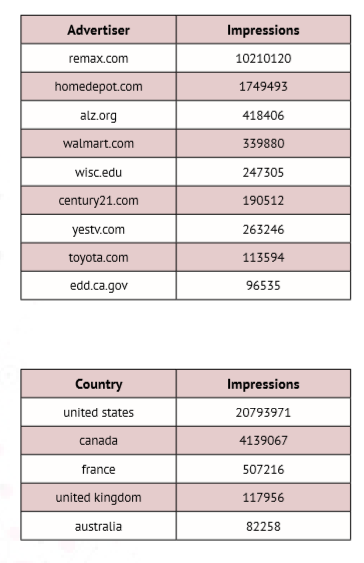 Also, most impressions are from tier 1 geos which brings good revenue for publisher.